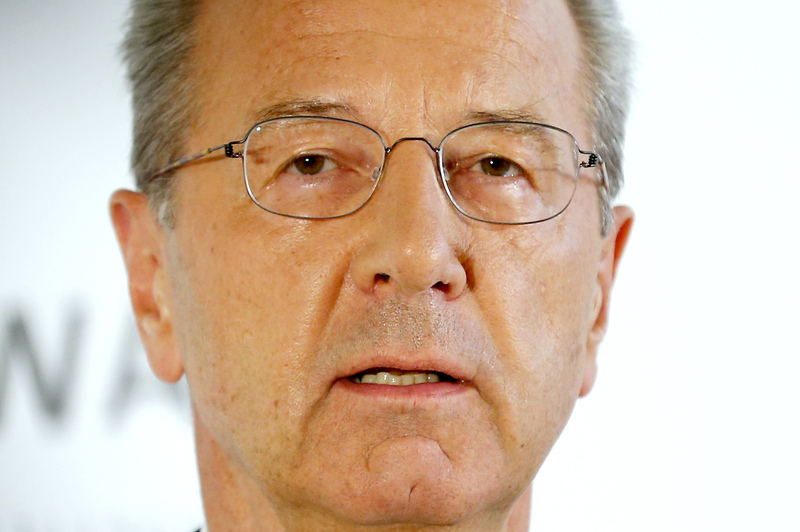 Hans Dieter Poetsch was the wrong choice as Volkswagen chairman from day one. His investigation by criminal prosecutors looking into potential market manipulation is really just a reminder that the German carmaker cannot turn a corner until it has made a clean break with its murky past. For that to happen, Poetsch needs to go. The investigation centres not on VW’s fudging of emissions data in 2015, but how transparently the company communicated its issues with U.S. regulators to its shareholders. After admitting cheating to U.S. authorities on Sept. 3 2015, Volkswagen waited 17 days to make the matter public. The subsequent crash of the share price wiped out almost 24 billion euros in market capitalisation in a week. At the time, Poetsch was VW’s chief financial officer. His job was in part to communicate effectively with the market. For proof that he failed, look to the 1,400 lawsuits shareholders had launched at the district court in Braunschweig as of Sept. 21. Total claims add up to 8.2 billion euros, which so far are not included in the 18 billion euros provisioned by Volkswagen for the financial fallout of the scandal. The legal bar for proving market manipulation is relatively high in Germany, and Poetsch is innocent unless proven otherwise. VW argues that it was not possible to assess the potential financial impact of the emissions rigging until late September 2015. Yet the criminal probe into his conduct highlights the conflict between Poetsch’s current role and his previous one. As Volkswagen’s chairman, his duty is to do his “utmost to uncover the full truth”, as he promised after his appointment in October 2015. As former finance director, that means being able to implicate a managerial regime of which he was part. What VW needs is a chairman who can give his or her full attention to stabilising the company while its executives carry out a big restructuring. The core VW passenger car brand’s operating margin is just 1.6 percent, less than half that of French rivals Renault and Peugeot. Brokering an urgently-needed deal between the company’s management and its unions on cutting bloated labour costs is crucial for the group’s operational turnaround. A weakened Poetsch lacks the authority to do so. Volkswagen really needs a new person at the top, and soon. Criminal prosecutors in the German city of Braunschweig have widened their investigation into potential market manipulations at carmaker Volkswagen. The probe now includes VW's current chairman and former finance director Hans Dieter Poetsch, the Wolfsburg-based company said on Nov. 6. The investigation was made public in June and had already named former Chief Executive Martin Winterkorn and VW brand chief Herbert Diess. At the centre of the probe is the question of whether managers informed investors too late about the manipulation of emissions data, which the company disclosed to the market on Sept. 20, 2015. VW had admitted to U.S. regulators on Sept. 3 that it fudged the data on nitrogen oxide emissions. It rejects the accusation of violating its disclosure obligations.